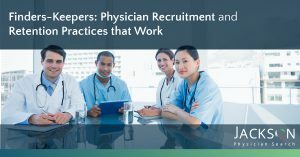 Physician alignment and satisfaction are critical to recruitment and retention. This study identifies a significant physician engagement gap and challenges the assumption that employing physicians is the only solution to clinical alignment. Physicians aren’t as aligned as executives think (and what executives can do about it). Jackson Healthcare sought to explore the current state of alignment and engagement among physicians who are employed. Based on our extensive secondary and primary research with hospitals and physicians, employed physicians are disengaged in large numbers. There has not been a positive change in engagement in the past decade. And more alarmingly, hospital executives perceive physicians to be more engaged than they actually are. Even though physicians are proud to associate themselves with the hospital for which they work, they don’t trust their hospital executives employers, and they are not involved in clinical and administrative decision-making processes. Physicians don’t want to follow a clinical recipe when it comes to patient care. They want to be respected for their expertise. In order to achieve the alignment hospital executive are seeking, medical schools and hospitals must do more to prepare, involve and transform the role of physicians as stakeholders, decisionmakers, and leaders. Cultural changes are necessary in the hospital environment if physicians are to make decisions in the best interest of the health system vs. a sole focus on their individual practices. 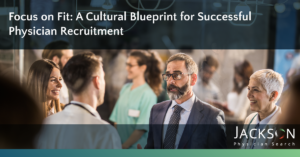 This report explores the current acquisition and employment trends and the effect on physician alignment. The days when physicians graduated from medical school, completed their residency, and hung out a shingle in private practice have come to a close. And physicians who began their careers in private practice are less likely to retire there. Currently, hospitals are acquiring practices in numbers similar to the 1990s. In the past decade, the percentage of hospital-owned physician practices has tripled from about 25% in 2002 to almost 75% in 2011. The percentage of physicians in solo practice has decreased from 41% in 1983 to 18% in 2012. Read the rest of this study by clicking the download button.